Blade of Queen will undergo an update for S1-S195 to improve and provide better game experience, which starts at 04:00 Dec.7 (EST). This update lasts about 15 minutes after the in-game announcement. 1.New Hacienda Function has been added. Requirement: Unlock at Lv. 17, after completing relevant main quest. Players can construct architectures and craft items in Hacienda which can offer stats bonus for main char and buddies. Players can also use Blueprint to make Ornament, Golden Emblem and other items. 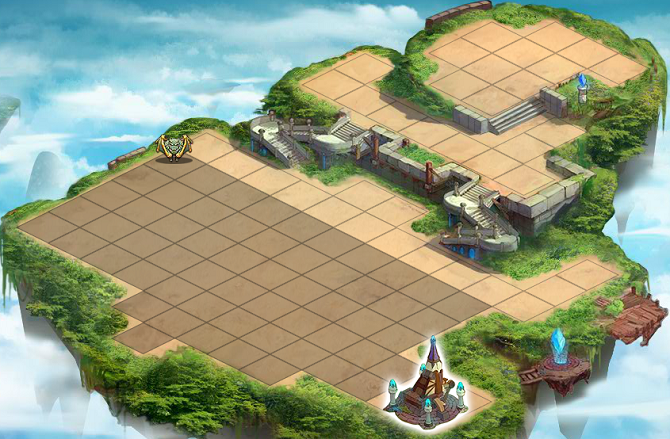 Players can visit friends' Hacienda and help them reclaim a Hacienda Land and speed up the construction of the architectures. 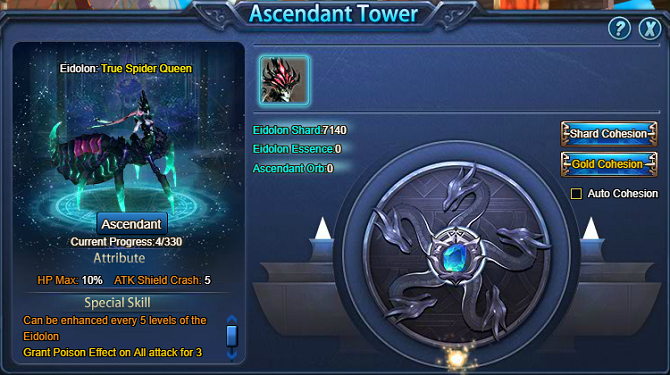 2.New Ascendant Tower has been added. Requirement: Unlock at Lv. 60 after completing relevant main quests. 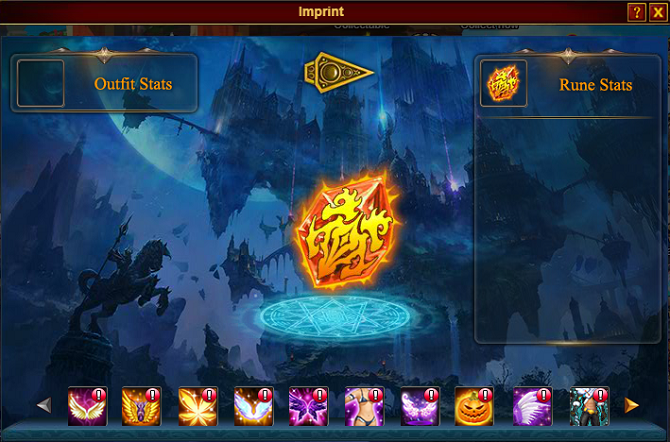 In Ascendant Tower, players can get Eidolon Essence through Eidolon Shard Infusion and Gold Infusion. Eidolon Essence can increase the Ascendant Progress of SS Eidolon. When the Ascendant Progress is full, and the Ascendant reaches the final stage, the Ascendant Orb will be required to do the enhancement. The maximum level of SSS Eidolon is increased to Lv. 60, and the maximum level of the polish is increased to 160%, and the skill slot is increased to 6. 1. Only the Eidolon with maximum level can use the Ascendant Function. 2. After the Ascendant is completed, the Eidolon Level, Polish Progress and Skill will be retained. 3. After the Ascendant is completed, the Eidolon can’t be degraded into the original SS Eidolon. 4. 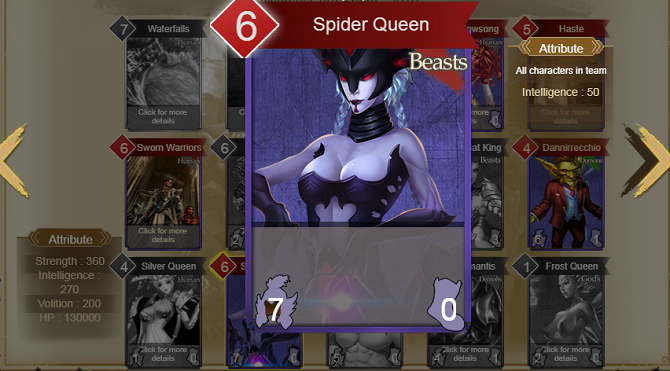 At present, only the Spider Queen can use the Ascendant Function, there will be more later on. 1. Add 7 cards into Hand of Gods, players can use Universal Card Shards to exchange. 2. Add new mark for outfits which hasn’t been imprinted.